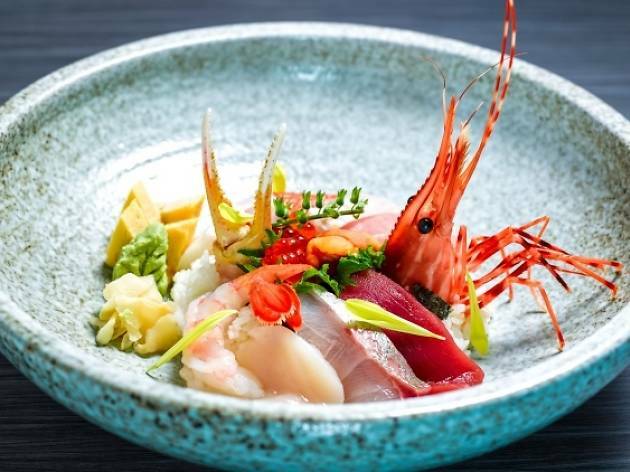 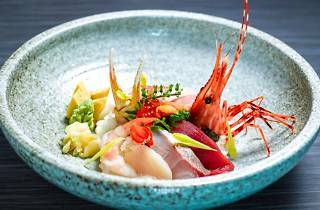 Ginzawa offers traditional Japanese dishes with a modern touch. 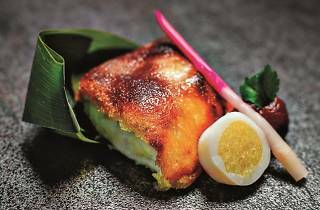 The signature starter is the Sake Kinuta Maki ($12) – salmon wrapped in pickled daikon and seaweed – while one of the mains features Kurobuta pork belly slices that have been braised for eight hours and draped over rice ($35). 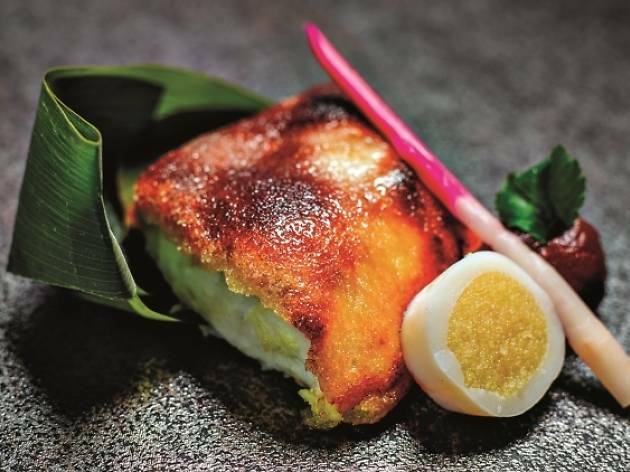 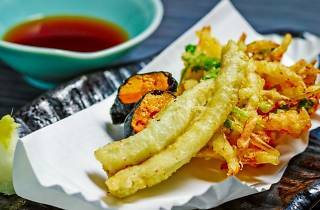 You should also try the Tai Moto Yaki ($22), which is grilled snapper fillet brushed with a caramelised egg yolk sauce and served with a squid ring stuffed with shishamo roe.